When a child is born, no parent ever thinks to themselves, “I sure hope he/she grows up with no sense of personal financial responsibility.” I’ve never met a parent who didn’t want his or her children to be in a better position than they were, whether that be financially, emotionally, or otherwise. Given the economic climate our kids are growing up in today, it’s the job of moms (and dads!) to impart money lessons that will prepare them for the real world of career changes, bills, student loans and credit. Typically, we’re stunted when we face a fear that we recognize as something important. The fear of talking with your kids about money is no different. Whether or not you consider yourself a financial guru, you know more than your child does about money. It’s not necessary for you to teach topics at a high level that may be above your head. However, it is critical to teach your kids about the basics: the value of a dollar, saving, investing, giving back, earning and financial goals. Don’t allow your reservations about your own inadequacies when it comes to money hamper your child’s ability to get a leg up on his or her financial future. The sooner you can teach your children about the value of a dollar and the importance of saving, the better off he will be in the long run. Create a structured way to do this. One way is through an allowance system in which earnings are derived from a set list of chores with dollar-value allocations. 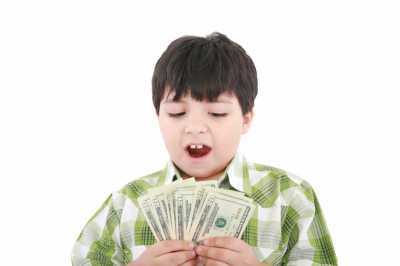 In order for your child to take control of his earning potential, let him know how you arrive at his potential weekly or monthly earnings. 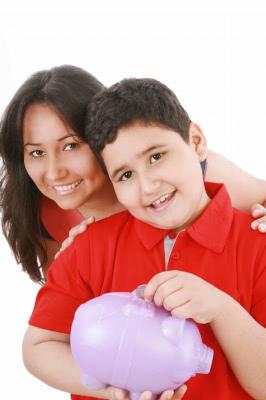 Base the maximum earnings on your child’s monetary needs. A sample formula is to use the child’s age or grade in school multiplied by a set dollar amount: for example, $5 x 3rd grade = $15/month. Based on your pre-determined earning amounts per chore, deduct for any chores not completed. Tally and pay at fixed intervals.